Crush it on Instagram in 2019! There is something about the simplicity of the way you engage with posts, which while similar to Facebook, has a subtle difference about it, which continues to magnify the engagement we have seen through all our posting. If you are already utilizing Instagram, awesome! If not, you are missing out on one of the most impactful and least expensive opportunities we will see for a while. 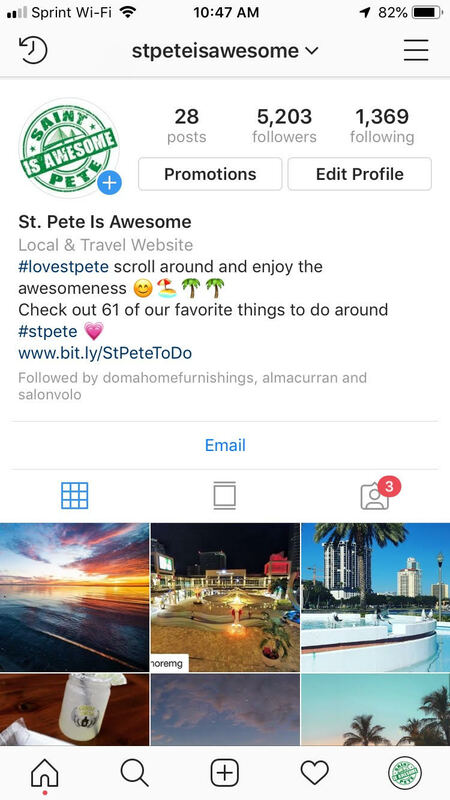 Here are a few of our pages in the Tampa Bay market, and as you can see we break things down by hyper local communities to make the biggest impact. Now, here is something even more awesome, here are some screen shots of the results of the tool I have been using since Aug on 1 page and Sept on 2 pages! 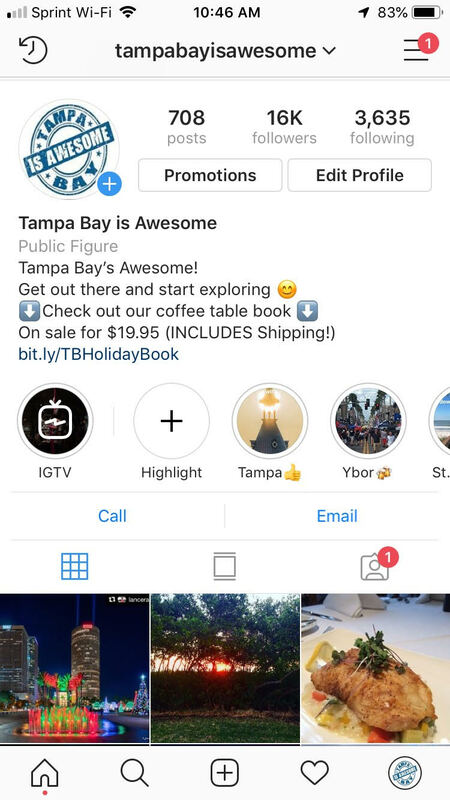 As you can see I started using the tool on Tampa Bay in August 15th with 8,650 followers and Sept 16th for both St. Pete and Clearwater Beach which started with 0! 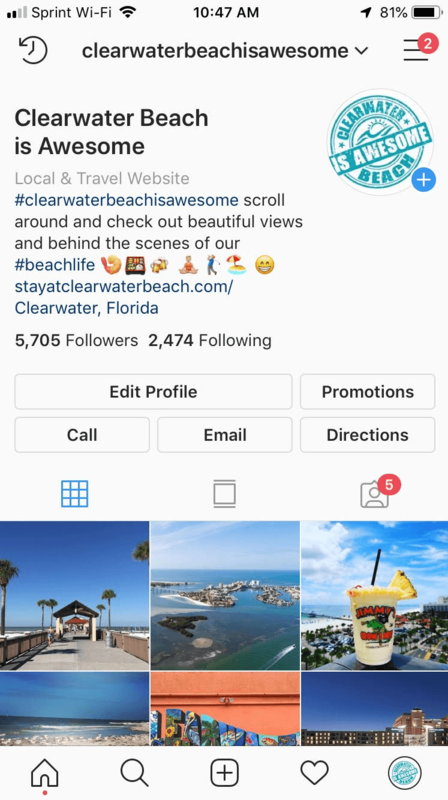 You may have attempted a “page like” campaign on Facebook at some point, which at our very best we were able to get “Like” on the Clearwater page for $.04, most other pages you will see at least $.10 or way more. It shows you how each page is preforming, which allows you to get rid of the under preforming pages. I try and keep only pages above 10%. Now, full transparency we are sometimes Instagram posting slackers and may go days without a post. Not the best protocol, we certainly would recommend posting at least daily, but I tell you this because these are the results we have created without a focused effort. The other great thing about the impact of this tool is the increase in profile visits and clicks to your website. Since the tool is following all these people many of them tend to check out your profile to see what you are about. Here is your opportunity to market your open house this weekend, 7 New Listings Around Town, See How Much You Home is Worth- these are all the calls to action you want to use in your profile so you can generate traffic to your site. AND once your profile gets to 10,000 followers you can LINK DIRECTLY from the post! If you have any questions please leave us a comment below. 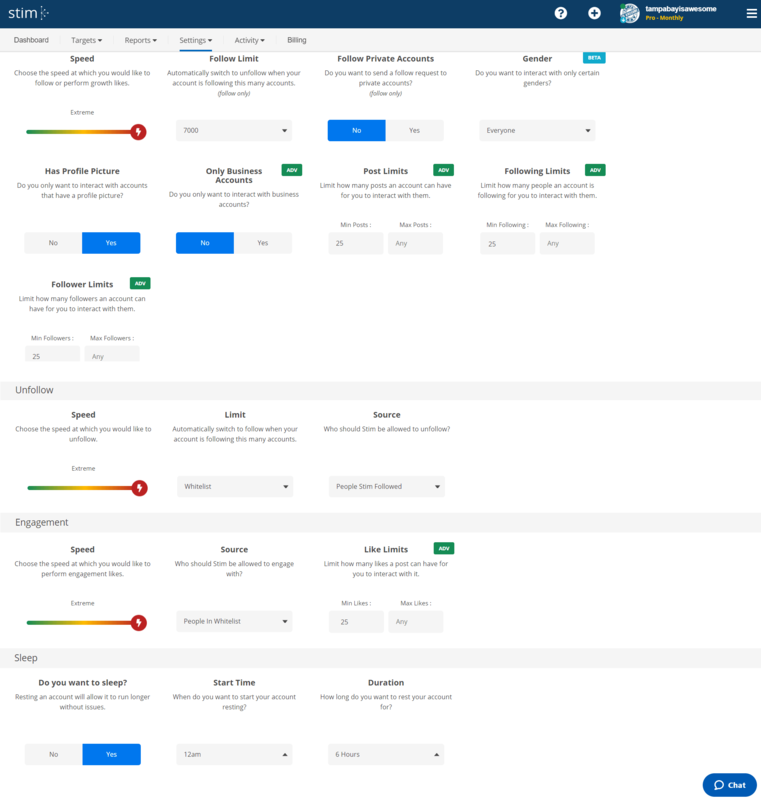 I have also included a screen shot of our settings for configuration, this is what I have found to work best for following real people and making sure I am hitting my goals. Have an awesome and profitable day!